Joined in 2000 as an Outreach Worker and since June 2002 has been responsible for managing LMCP. He divides his time between managing LMCP, practice teaching social work students, supporting research and contributing to the development of social and health care strategies, policies and services. Ahmed has served/ continues to serve on a number of strategy, policy, steering and working groups and forums to help improve the availability and uptake of culturally and religiously appropriate health and social care services in Manchester and Trafford. Ahmed provides cultural awareness support to Manchester and Trafford Adult Social Care staff; advice and guidance to voluntary, community and independent providers on developing and delivering culturally and religiously appropriate care services; and capacity building support to smaller community organisations. Ahmed holds a BSc in Biochemistry from the University of Manchester, an MSc in Computing from Bradford University, Certificate in Enterprise Skills from Stirling University and the Social Work Practice Teacher Award from Salford University/ General Social Care Council. He has also attended numerous courses relevant to his work including the Dale Carnegie Leadership and Motivation programme. Nazir joined LMCP in 2005 as an Outreach Worker. In June 2010 he added support brokerage to his role. He supports older South Asian persons and their carers understand their social, health care and housing needs and helps them access appropriate services. He makes strategic inputs to help improve social and health care services in Trafford. Nazir has played a key role in raising awareness, developing drop-ins, in identify unmet needs and in assisting a local community organisation to contract for and deliver low level day care. Nazir holds a BA in Psychology from South Gujarat University, India; a Certificate in Counselling and has undertaken other relevant training. Nazir speaks English, Gujarati, Hindi and Urdu. Yusuf joined LMCP in 2009 as a part-time Development Worker. He has developed and delivers a Cultural Awareness programme for Trafford Council’s social care workers; he as co-developed and co-delivered with AIL a service users engagement pilot; and is co-producing with AIL a workbook on how to engage with hard-to-reach groups. He also provides supervision support to colleagues and practice teaches social work students on placement with LMCP. 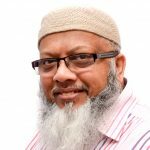 Yusuf holds a BA in Politics and Contemporary History from Salford University; Diploma in Social Work from MMU; a teaching qualification from the University of Central Lancashire and has undertaken other relevant management training. 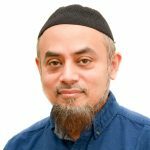 Before joining LMCP, Yusuf set up and managed Dekh-Bhal – a home care service for South Asians provided by Manchester Care and managed the BA in Social Work programme and Counselling programmes at Stockport College. Saleha joined LMCP in September 2016 as a Development Worker. She supports South Asian women with mild to moderate mental health needs. In 2015-16 Saleha worked on our Manchester CCG funded ‘Reducing social isolation and loneliness among older South Asians in Manchester’ project. Mohomed joined LMCP in September 2016 as a Development Worker. He supports older South Asians and their carers in Trafford to understand their health, social care and housing needs and helps them access appropriate services. Before this Mohomed volunteered with us. Before joining LMCP Mohomed worked in various roles, including District Manager, for the Manchester Adult Education Service. He also worked as a Community Development Worker both in the statutory and voluntary sectors. Salma joined LMCP in April 2017 as a Development Worker for Improving Access to Psychological Therapies (IAPT). She supports South Asians with mental health concerns by referring and assisting them to access psychological therapies. 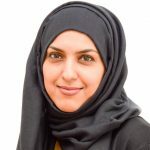 Salma is a BA graduate in Linguistics and Arabic from the University of Salford and is a qualified EFL teacher. She is passionate about helping others to become healthier; physically and mentally.